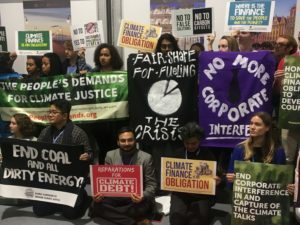 (Toronto, ON) – Two women climate activists representing KAIROS Canada under the accreditation of The United Church of Canada are in Katowice, Poland as observers at the 24th Conference of the Parties to the United Nations Framework Convention on Climate Change (COP24), December 3-14. 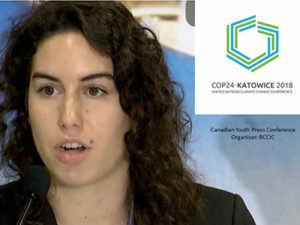 Jessica Steele and Georgine Kengne’s mission is twofold: to urge the Canadian government to increase its greenhouse gas emissions reductions targets, backed by an ambitious action plan, and to join other women climate activists in adding their voice to the COP24 process on the gendered impacts of climate change. The United Church of Canada is the only Canadian church with official observer status at COP. Steele’s participation at COP24 is also officially supported by The Primate’s World Relief and Development Fund (PWRDF). 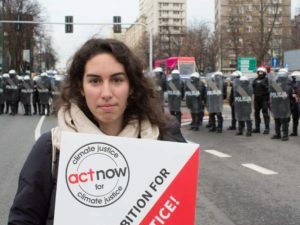 As women on the frontlines of climate action, Steele and Kengne’s participation is significant. Recognizing that women disproportionately bear the brunt of climate impacts but also tend to crops, manage water and develop adaptation strategies, the United Nations Framework Convention on Climate Change (UNFCCC) adopted its Gender Action Plan at COP23 in Bonn. The plan becomes operational at this year’s COP and aims to bolster women’s influence in climate change dialogue and action. 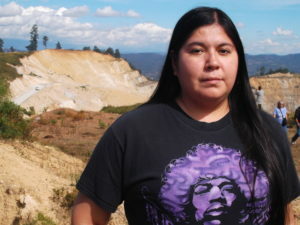 Steele is an environmental educator and climate change activist from Coast Salish Territory in Vancouver. She works with the Ocean Wise Conservation Association’s Ocean Bridge program, where she empowers youth and young adults across the country to participate in ocean conservation service projects. Kengne is a Cameroon-based francophone woman, and the Senior Projects Coordinator on Consent and Just Alternative Development with WoMin: African Women Unite Against Destructive Resource Extraction, which seeks to build a women-centred and ecologically responsive African alternative to mining’s current destructive model. 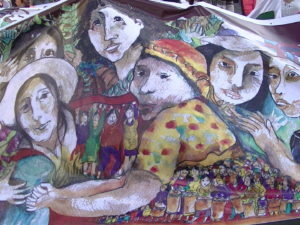 Both women are deeply connected to the ecumenical community in Canada and globally. Steele is a member of the PWRDF Youth Council and represents PWRDF on the KAIROS Ecological Justice Circle. Kengne is the former General Secretary of the Nairobi-based World Student Christian Federation – Africa, which has worked closely with KAIROS on climate change, debt cancellation, and HIV/AIDS advocacy issues in Africa. 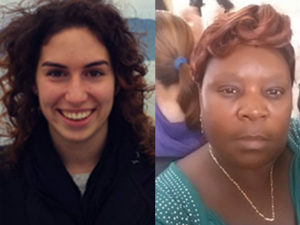 “Bringing the knowledge and experience gained from COP24 as women and as climate activists, Jessica and Georgine will strengthen their professional work and the work of climate justice within these networks and the wider ecumenical community as well,” says Beth Lorimer, KAIROS’ Ecological Justice Coordinator. As observers, Steele and Kengne will witness the discussions and decisions made by states at official sessions and engage with other civil society actors. Observer participation at COP promotes transparency, which is crucial as states are set to develop rules and work plans for achieving their commitments under the Paris Agreement. 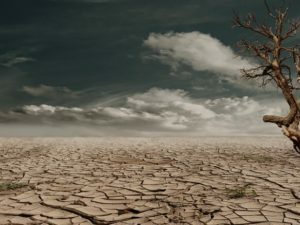 All eyes will be on this year’s COP to see how governments respond with concrete action to the urgent warning in the Intergovernmental Panel on Climate Change (IPCC) report to hold global warming to 1.5°C. Canada’s current greenhouse gas emissions reduction target is to be 30 percent below 2005 levels by 2030. Climate Action Network Canada, of which KAIROS is a member, recommends increasing the target to 50 percent below 2005 levels by 2030. “I think world leaders and polluters have had enough time to discuss and it is time to save the planet,” says Kengne. Steele and Kengne will participate in key discussions around just transition, local community and Indigenous knowledge, and gender. 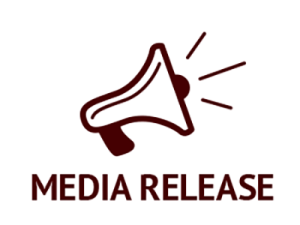 Those interested in Steele and Kengne’s observations are invited to follow their reports through KAIROS Canada’s Facebook and Twitter feeds.